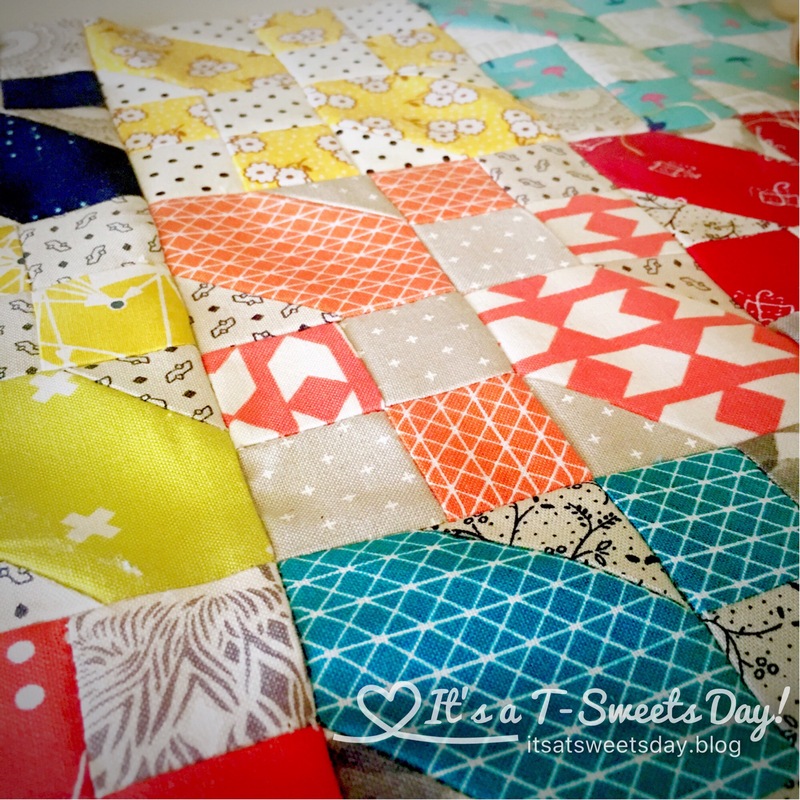 Rockin’ the Long Time Gone SAL – Jacob’s Ladder – It's a T-Sweets day! 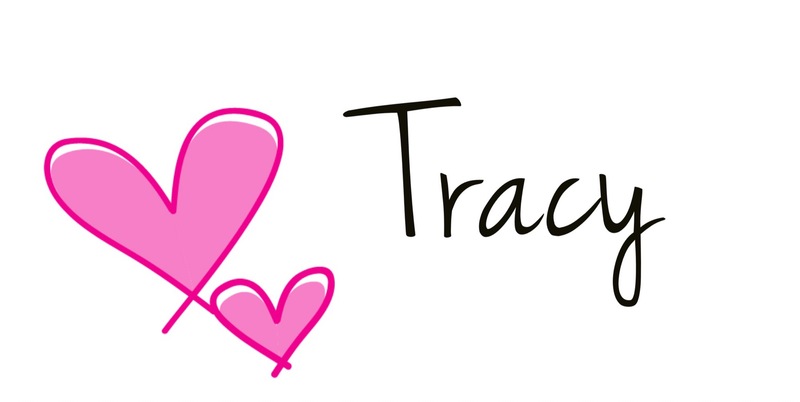 Published on April 10, 2017 April 10, 2017 by Tracy @ It's a T-Sweets Day! 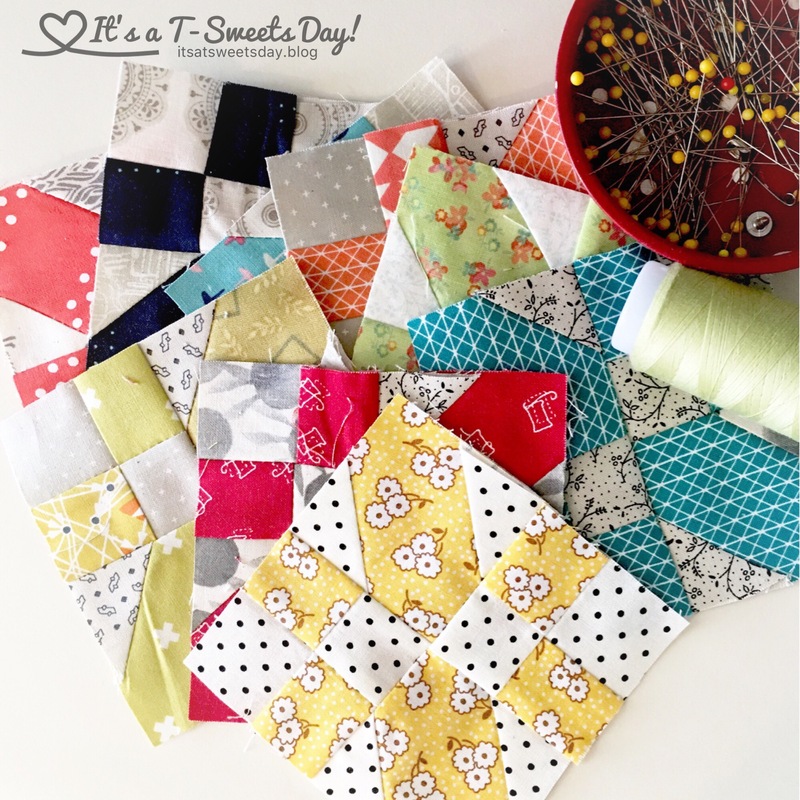 I am joining Gnome Angel in this Sew-along Quilt-along. 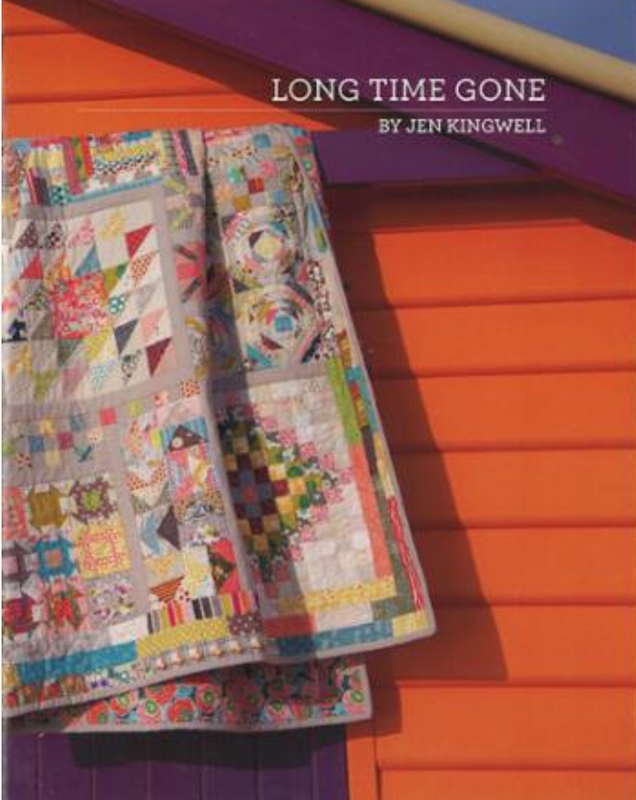 The pattern is the Long Time Gone quilt by the absolutely amazing Jen Kingwell. You can grab a pattern here or on amazon if you want to join in on the fun! It was a very easy block to make. 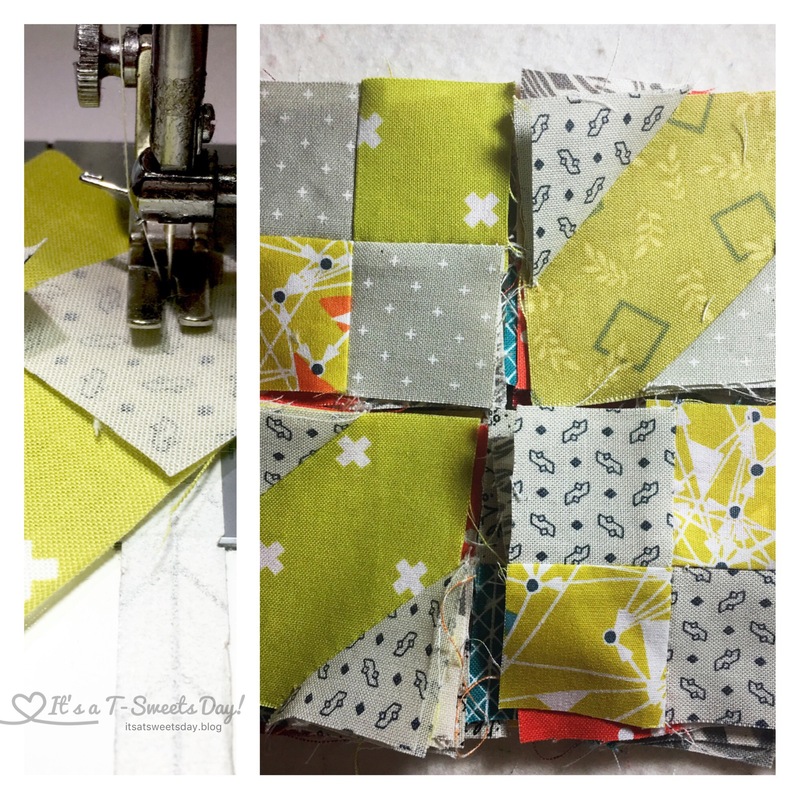 I cut the fabrics for each block and set them out on my preview board. I know a lot of people trim the extra away on the back, but I just flip, press, and go. 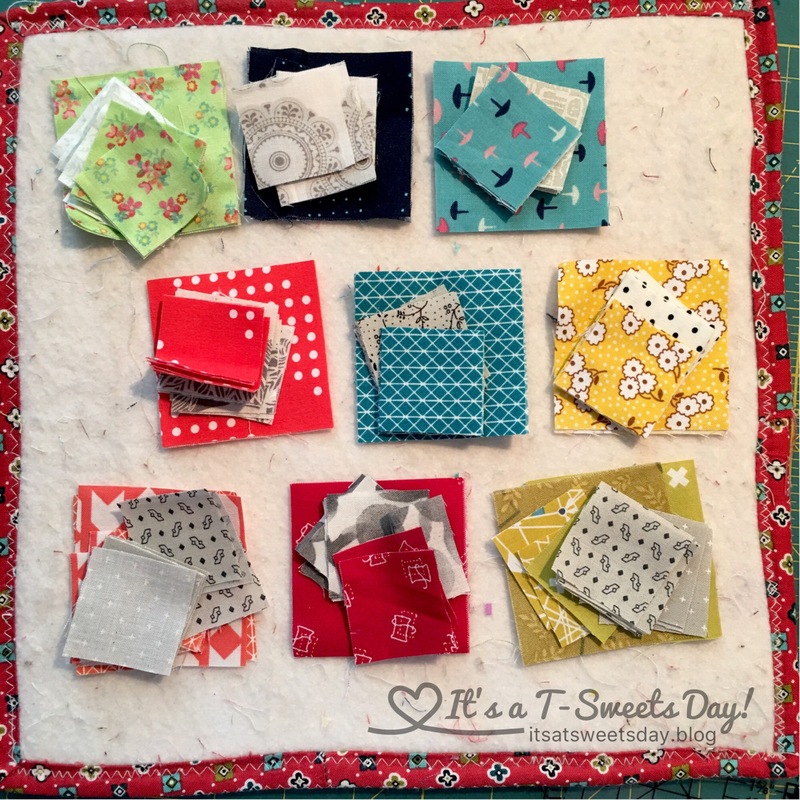 I sewed up the little four patches and then laid the blocks out again on my handy preview board. 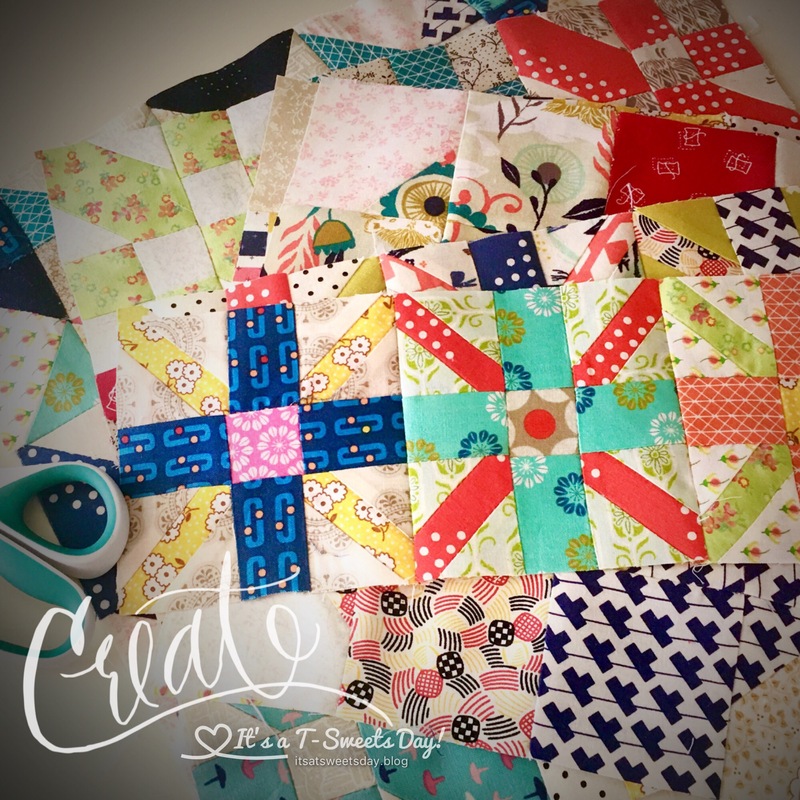 I like to sew each row and each block seperatly so I don’t get lost. The blocks turned out fantastic! Then I just had to sew them together in three rows of three. Easy! As you can see, I really am enjoying this sew along. Why don’t you join us? It is SWEET! Next First Ever Fantastic Bake-Along BAL– Come and Join Us! That’s a blessing! Keep using your gift! After I finish my second Gypsy Wife, I will begin my Long Time Gone. Tell me about your “preview Board”. Do you hand it on the wall or keep it flat? 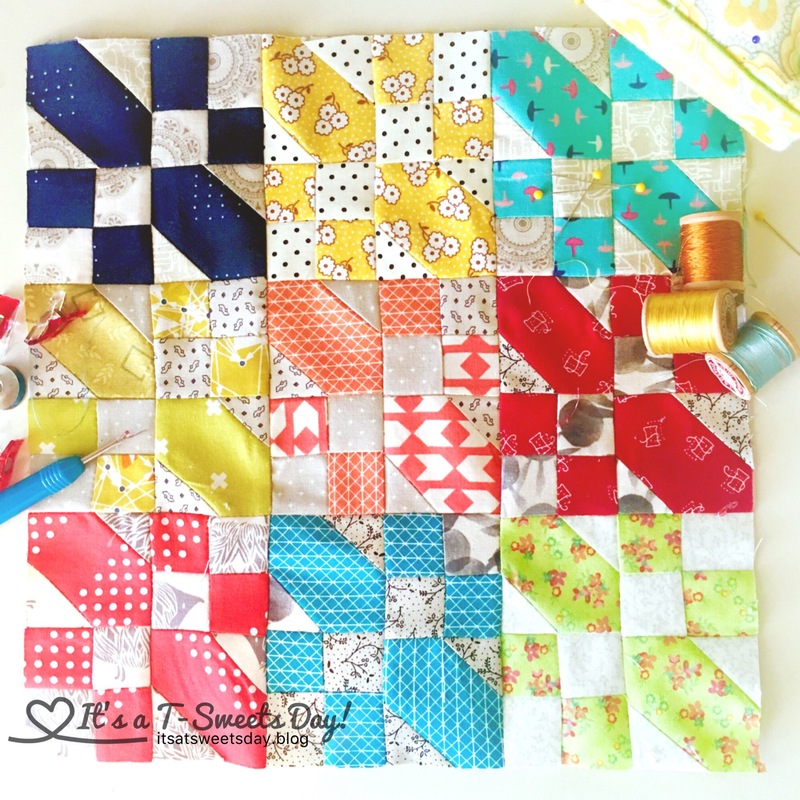 Is it batting for fabric to stick to?